The PlumbForLess 5 piece Bathroom Suite incorporates style and functionality to suit a variety of tastes. 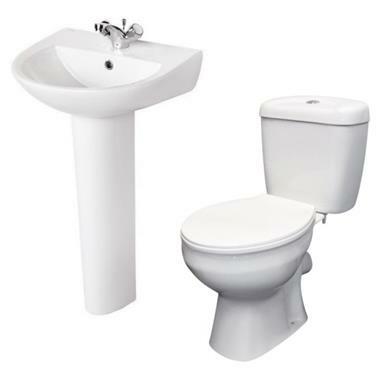 Contempory look of the Sorrento basin suite and bold curves combined with an elegant finish of the PlumbForLess WC set make this Bathroom Suite pack very stylish yet so affordable. - Installation: WC Pan is screwed to floor; We recommend getting Standard WC Pan Fixing Set (product code S410) with this pack (purchased separately). - Width of cistern: 382mm. 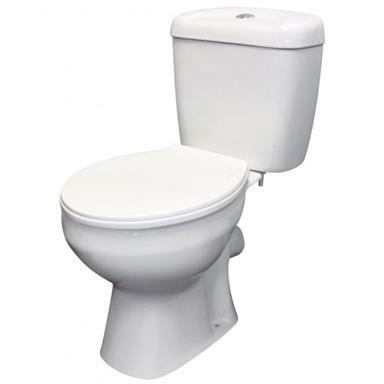 • Standard toilet Seat & Cover, white plastic, plastic hinges. We recommend getting Carrara & Matta Atlantic Spa Thermoplastic Toilet Seat & Cover (product code 108052000) with this WC Set for durability reasons (purchased separately). 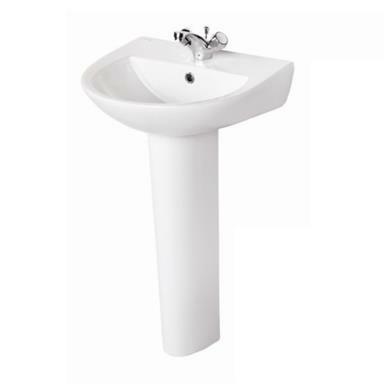 Please note: Basin taps are not included in the price and have to be purchased separately.